The Autotask integration includes a few LiveLinks which must be created in Autotask for generating session keys and launching a Jump session to a Configuration Item. 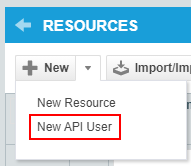 In Autotask, go to Admin > Resources (Users). Create a user with the System Administrator security level. 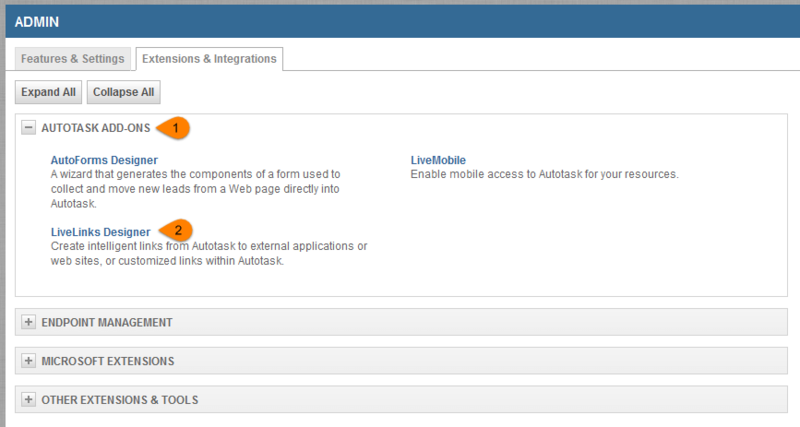 In Autotask, go to Admin > Extensions & Integrations > Autotask Add-ons > LiveLinks Designer. On the Applications tab, click the New button. 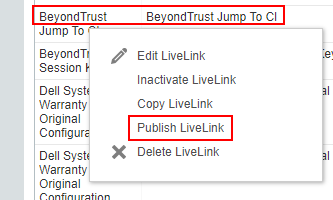 Enter BeyondTrust as the application name. On the LiveLinks tab, click the New button. 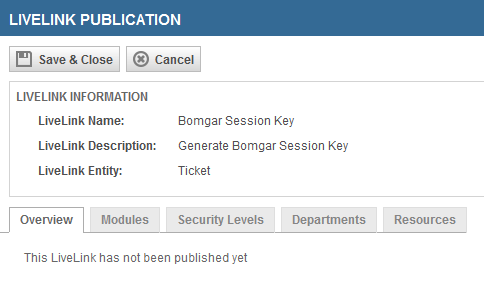 On the Configuration tab, ensure both Ticket Details Window - Service Desk and Ticket Grid - Service Desk are checked. Right-click the LiveLink in the list and select Publish LiveLink. Using the Security Levels, Departments, and/or Resources tabs, select the appropriate groups or users that should be able to view and use the LiveLink. Click Save and Close to publish the LiveLink. 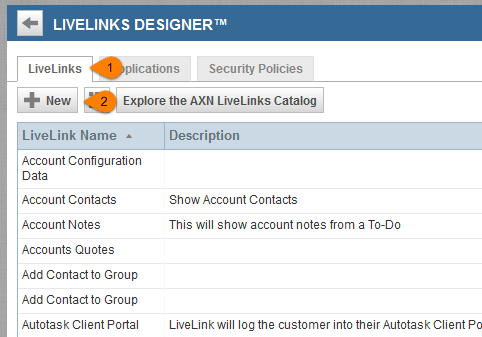 Follow the same steps as with the previous link to select the appropriate groups and users, and then publish the LiveLink.